The aesthetics of the engine has always brought the character to a Motorcycles. This ridiculously beautiful 1965 Fruin 200cc racing engine is the creation of an independent engineer of Hillingdon, Middlesex Bert Fruin. 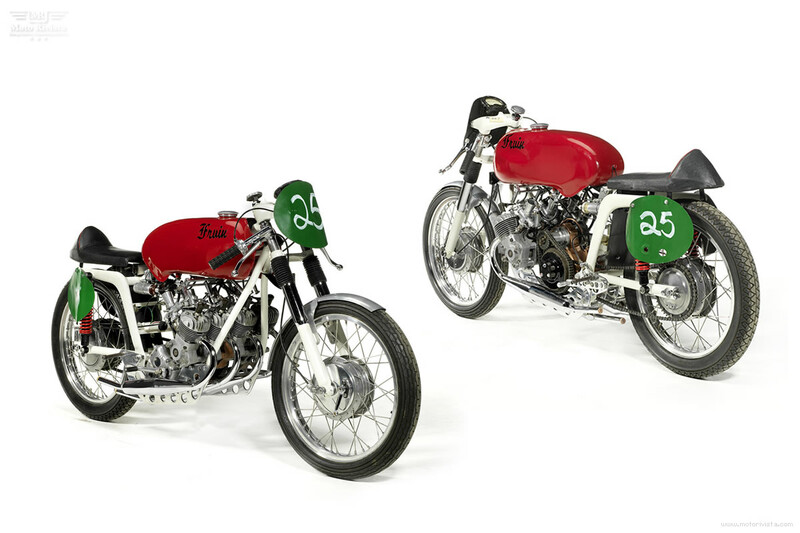 During the 1950’s and 60’s Bert crafted a series of mechanically remarkable special engines, including a 125cc DOHC twin-cylinder racer and a modular V4/V8 engine. 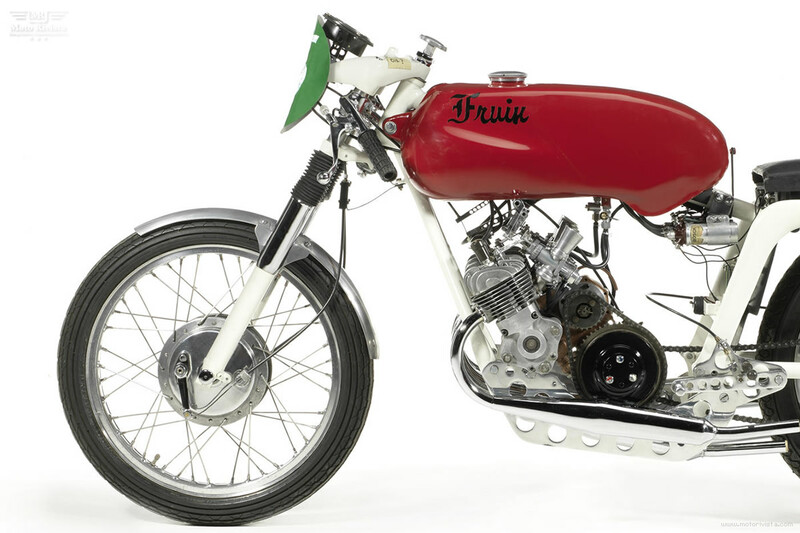 The first Fruin-built 200cc was featured in Motor Cycle magazine in 1962. Bert’s four-cylinder engine was sold in a kit form with a crankcase and set of crankshaft blueprints at a cost of £16. The Fruin 200cc engine above in the picture uses NSU cylinders and heads and it was built around 1965 by Mike Smith of Waltham Abbey, Essex. 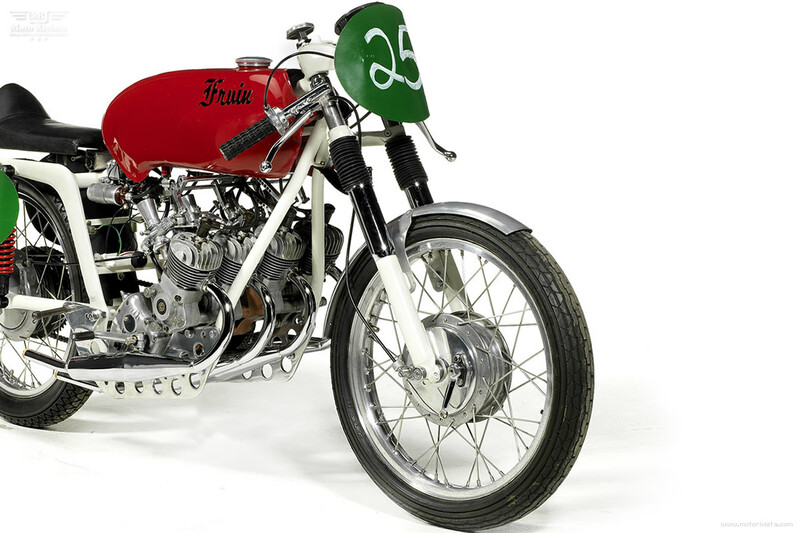 The Fruin 200cc engine has been mounted in an MV Agusta rolling chassis. The engine has been fitted with Dell’Orto carburetors and the four-speed gearbox. This bike was mainly use for spiriting due to being proven UN-competitive in the 250 classes. Later in 1980s Mike Smith sold the bike, since then it was modified and sold from the hands of one to another enthusiastic owner, it was purchased and restored by a collector in 2009. Restoration work included the rebuilding of the Fruin 200cc engine and the gearbox. The frame and the fuel tank was repainted and the carburetors, float bowls were also overhauled. 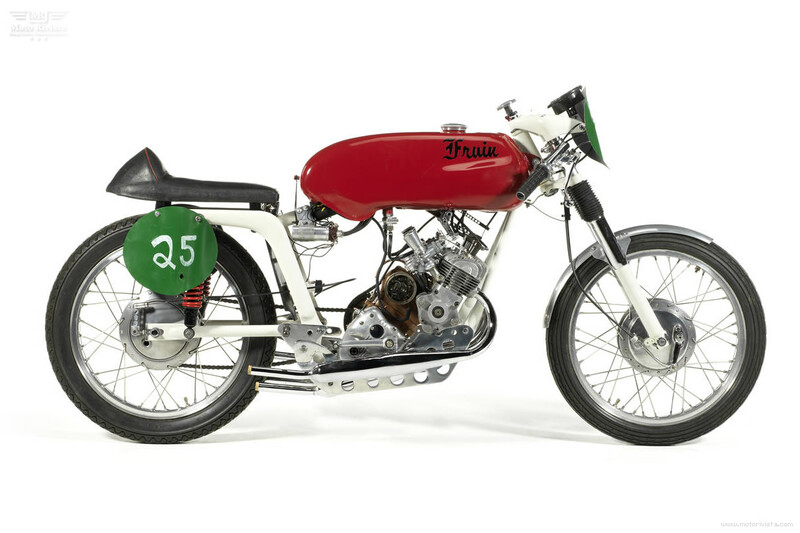 The electricals of this Fruin 200cc remain original but the wheels were rebuilt. 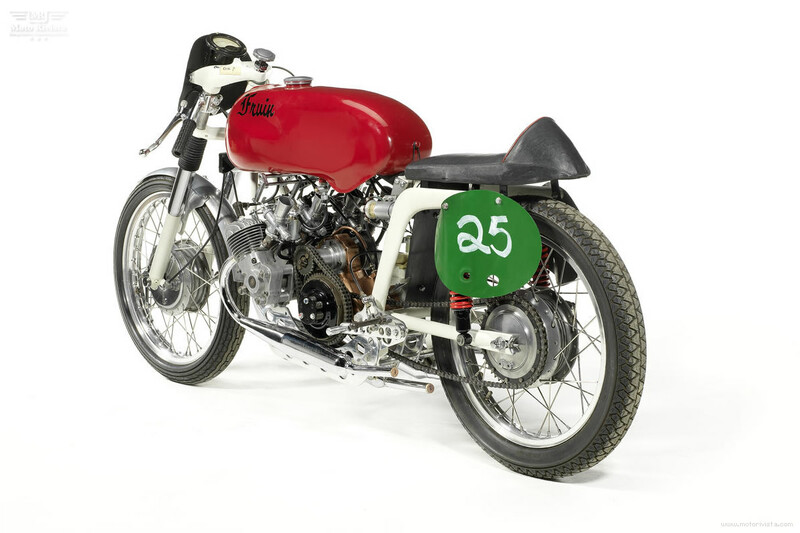 Upon completion of the restoration this Fruin 200cc Racing Motorcycle was displayed on the Carole Nash stand at NEC, Birmingham and also at the Stafford Show. Due to the complex nature of the design and cost only two were ever made. 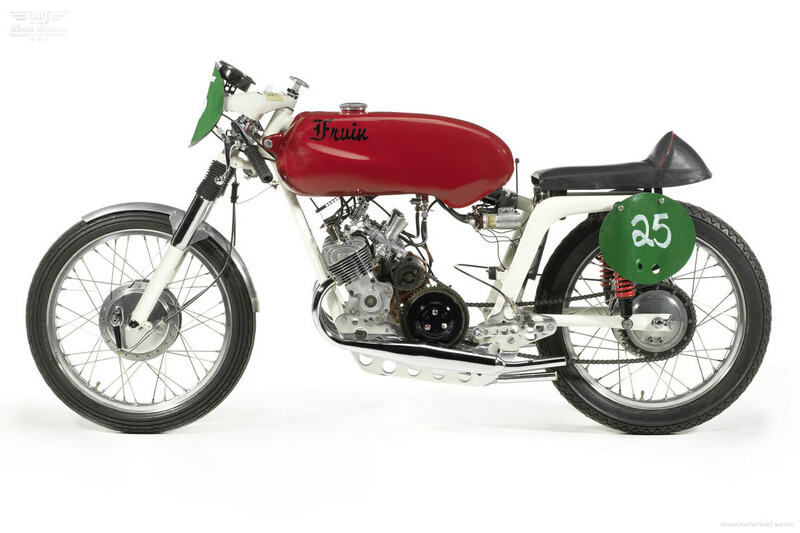 The bike above in the pictures was up for auction at the Bonham’s and was sold for for £5,980.